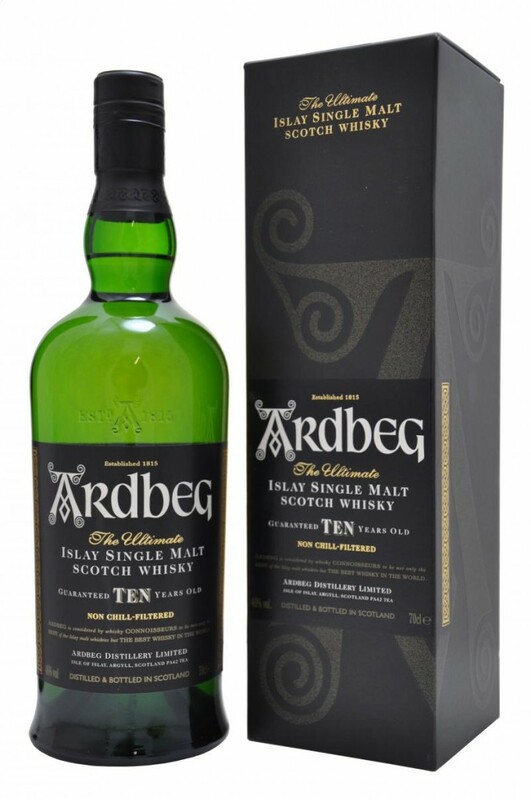 Ardbeg 10 Year Old Single Malt is typical Islay single malt. Light gold colour with exceptional balance and depth on the nose. The aroma is a beguiling mix of toffee and chocolate sweetness, cinnamon spice, Fresh citrus and floral notes of white wine are evident, as are melon, pear drops and a gentle creaminess. There is also fresh phenolics of seaspray and smoked fish. Hickory and coffee emerge on the finish.